What will you be looking through this Christmas? Canon has beefed-up its professional EOS SLR range with the introduction of the 21.1-megapixel 1Ds and the 10.1-megapixel 40D. 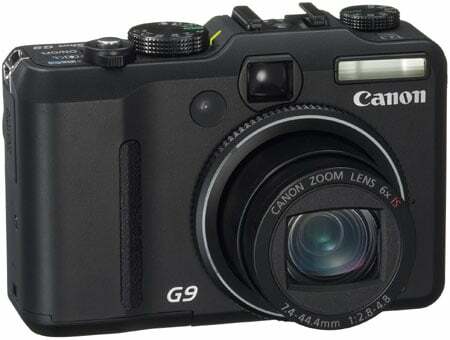 It has also unveiled a digital camera for serious shooters or cash-strapped professionals, the 12.1-megapixel G9. 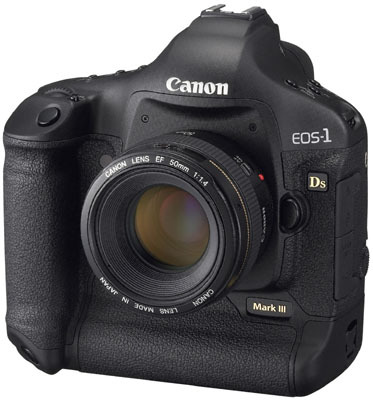 The 1Ds model sports a lighter-weight magnesium alloy body and allows users to make very fine changes to the AF point of focus for different lenses, which Canon said will be useful for wildlife and sports photographers. The AF sensor’s low-light sensitivity has also been doubled to EV-1. Canon also claimed that signal processing will be much faster thanks to the addition of two DIGIC III imaging engines for parallel processing. The LCD display measures 3in and the camera’s viewfinder is marketed as the finest viewfinder ever placed in an EOS model, with 100 per cent picture coverage and a .75x magnification factor. The 40D, successor to the 30D, also has a 3in LCD screen, but Canon claims the screen’s display is easier to read than on previous models and incorporates a broadened colour gamut and narrowed viewing angle from 170° to 140°. Optical magnification has also been increased from 0.90x to 0.95x on the camera’s viewfinder, expanding the viewing angle from 251° to 264° and raising the eye point from 2cm to 2.2cm. Photographers also benefit from larger microlenses over each pixel, which Canon said reduces the image sensor’s noise and expands its ISO sensitivity up to 3200. It retains the 30D’s 1.6x focal length conversion factor, but the camera can recognise up to four times the number of colours per channel that its predecessor could – at 16,384. It’s also able to snap images with a finer and more accurate tonal and colour gradation. Canon has also upgraded the 40D’s nine-point wide area AF coverage from both predecessor models, with improvements in speed, precision, functionality. The G9 may not be in the 1Ds or 40D SLR class, but it has a 6x optical and 4x digital zoom, with 23 shooting modes for everything from night scenes to snowy conditions. It also incorporates a large 3in display, putting it on a par with both SLR cameras. It supports a wide range of memory cards, including SD/SDHC and MMC. The camera’s control layout has been simplified alongside the addition of RAW mode – which allows users to combine RAW and JPEG capture functions together. 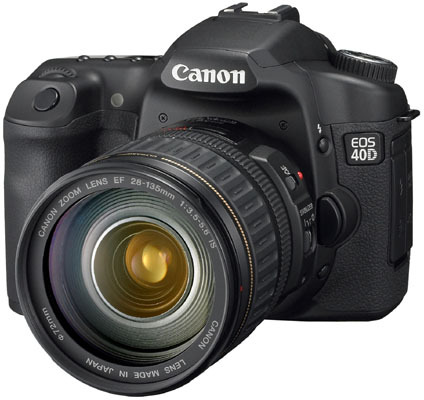 The 1Ds and 40D will be available in the USA during November and September respectively. The 1Ds is expected to retail for $8,000 and the 40D for $1,300. The G9 will be available in the USA during October and retail for $500. No UK release dates or prices were available at the time of publication.